In addition to the unique designs offered by our home builders and the modern amenities in the community, homebuyers with children are also able to benefit from an additional perk. Tomball ISD is looking forward to opening Tomball Star Academy, an Early College High School, for the 2017-2018 school year. This joint initiative with Lone Star College– Tomball will enable students to earn a high school diploma, up to 60 college credit hours, and an Associate of Arts degree. Tomball Star Academy will also provide a supportive learning environment that blends high school and the first two years of college. Students who focus on academics, seek a smaller learning community, and who want to save time and money in pursuit of a baccalaureate degree are encouraged to apply. In partnership with our parents, community, local businesses, and Lone Star College– Tomball, Tomball ISD is focused on fostering a culture of caring and compassionate educators, engaging students through real world experiences, and cultivating independent thinking and creative problem solving. Students are inspired to develop and exhibit the good character traits expected of them by their parents and the community. 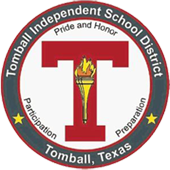 Tomball ISD is a competitive, dynamic, and successful school district with top rankings across multiple measures. The district values the community’s investment. Tomball ISD aims to return that investment with a rigorous college, career, and life ready curriculum, safe schools, financial responsibility, transparency, and parent and community engagement. Whichever home you select in Woodtrace, you can be assured that you children will have the opportunity to receive an excellent education and a head start on their future. School attendance zones are subject to change without notice. Please contact Tomball ISD for the most current information.